Corbett National Park, a renowned wild reserve located in Uttarakhand (India), has witnessed a surprising presence of a winter migrant bird: ‘Bean Goose’. A team of bird watchers and researchers has reported the sighting of this Rare Migratory Bird at Jim Corbett in 2011. According to experts, Bean Goose birds are spotted very rarely. In India, the bird was last seen in Bikaner (Rajasthan) in the year 1948. After 1948, this bird has never been spotted in Rajasthan. Earlier to Jim Corbett National Park, this bird was seen at Hari Barage (Punjab) in the year 2003, Saikhowa National Park (Dibrugarh), and Assam in 2007. The head of the team of five researchers, Anushree Bhattacharjee explained that earlier they were not confirmed about the species of this bird since a single Bean Goose was being spotted among the flock of species like Bar-headed Goose and Ruddy Shelduck. These flocks are the common winter migrants to the Corbett landscape. Once the team was confirmed about the Bean Goose, they further consulted other experts like the Goose Specialist Group of the Wetlands International and IUCN species survival commission. The team was then affirmed about the species of Ben Goose in March that generally bears two varieties namely the Tundra Bean Goose and the Taiga Bean Goose. 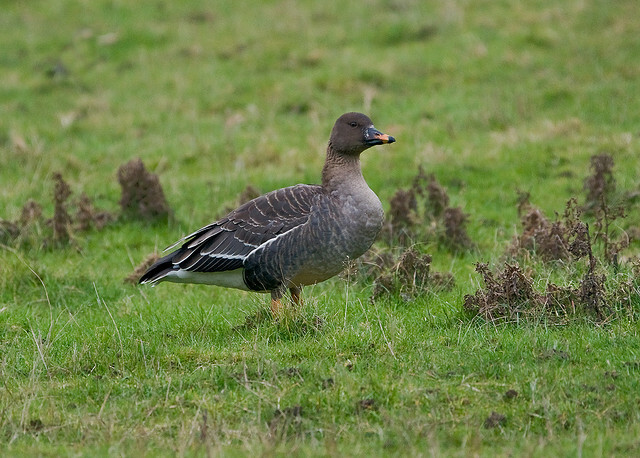 She further explained that the presence of the species of Tundra Bean Goose was confirmed by the experts of the Goose Specialist group, when it was spotted in Tumariya. The species of Ben Goose normally moves to south during winters in the Arctic to the sub-tropical regions including Europe and Asia. The species generally moves to the maximum extent of the south region as China. This was surely a surprising sighting of this rare species that caught the attention of maximum staffs of the Jim Corbett Tiger Reserve.